To connect your iPone with your hearing aids, you need to pair them together. In 6 effortless steps, we will show you how to pair your hearing aids with your iPhone, iPad, iPod, and Apple watch. 1. 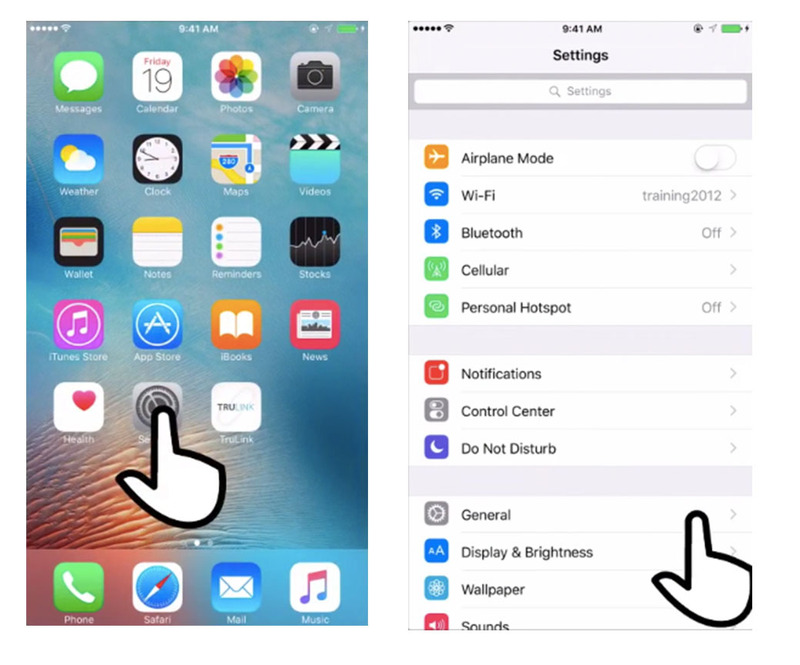 Settings: Open your iPhone or iPad and go to “Settings”. Near the top of the screen with a blue icon, you will see “Bluetooth”. Turn your “Bluetooth” to ON. Then, under settings you will want to scroll down and click on “General”. 2. General: On the “General” screen, find and select “Accessibility”. 3. 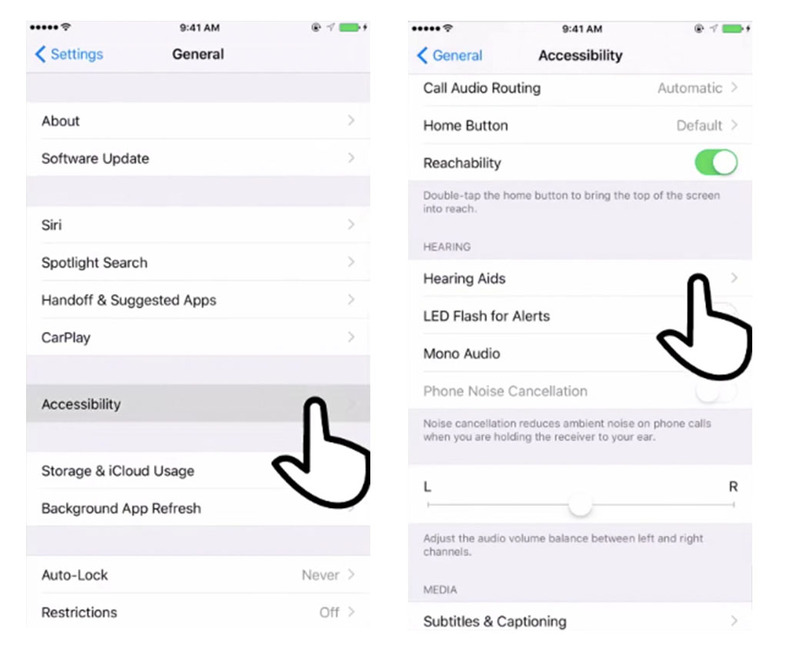 Accessibility: On the “Accessibility” screen, scroll down until you see “Hearing Aids” and select. 4 Pairing: Quickly open and close both of your hearing aid battery doors and place them next to your device. Wait for the iPhone to recognize both your Left “L” and Right “R” hearing aids. 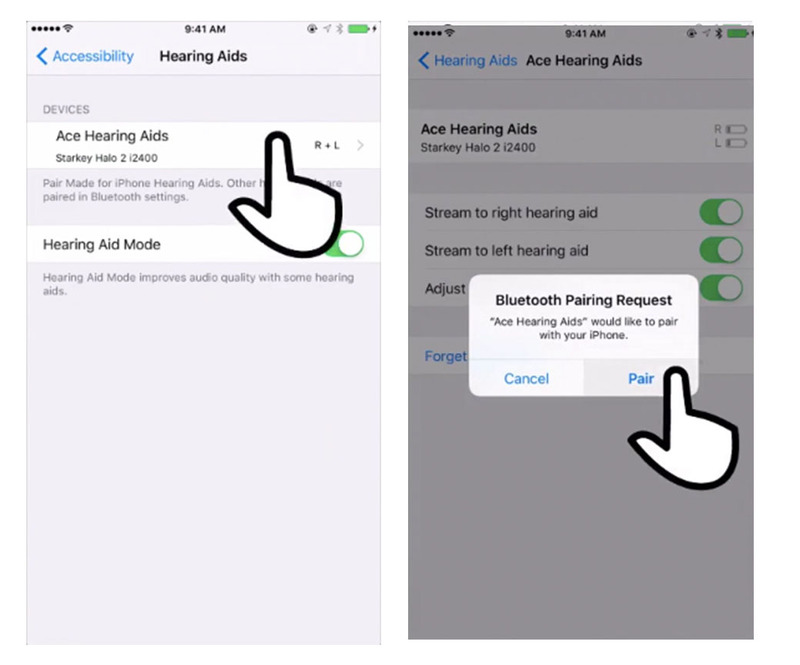 Then, tap on the recognized L/R devices, and accept the request to “PAIR” both of the hearing aids. 5. Hearing Aids: Check if your iPhone has detected your hearing aids. A checkmark should appear next to your hearing aids confirming the connection. Here, under your detected hearing aids you can see the options for controling your hearing aid settings. With these 6 simple and easy steps, you can enjoy the benefits of having a personalized listening experience and easily control the settings and volumes you are hearing.